In life, you cannot always get what you want. However, there will always be instances wherein the stakes are high and you have invested your time and effort to achieve a higher goal for your personal or professional life. But despite your best efforts, you have failed resoundingly. Now, how do you pick up the pieces and continue with your life? 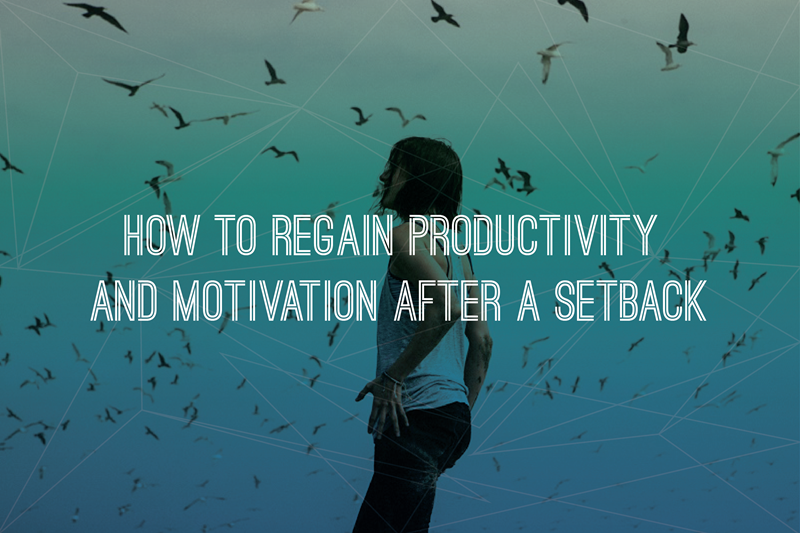 How can you go on with productivity and motivation, with zest and vigor? Bouncing back from a major setback can be heartbreaking, but not totally impossible. Here are some tips that can help you regain your confidence and motivation. Failures can happen even to the best. But what sets these people apart is how they view their setbacks—they may have failed in one endeavor, but they have not failed in life. If you are constantly being nagged and brought down by negative thoughts, one of the most important things that you can do is to bring intent in your thoughts. That means that any change that you want to bring about should emanate from conscious thoughts that move away from wallowing in failure and move toward a reaffirmation of yourself and what you are truly capable of. If you are still smarting from your wounds, you should take some time off and momentarily leave the situations that contribute to your negative feelings. Take a vacation. Pursue the hobbies you may have neglected. Spend quality time with your family. After giving yourself ample time off, the impact of your failure is lessened. When you look back at your failure, make an objective assessment of what you have done right and what you have done wrong. Take this as a learning experience—something that will contribute to your growth, now and in the future. You can become your biggest ally or your biggest enemy. Learning to forgive yourself for the mistakes you have made is one of the crucial ingredients for success. Successful people know and understand that being critical of oneself only undermines their confidence and makes it difficult to find footing after a setback. Being confident and motivated does not mean that you have totally eliminated your self-doubt. On the contrary, being confident and motivated means that you acknowledge your fears. But instead of succumbing to these, you approach these calmly and objectively, assessing the merits of each. When you have decided to have one more go at the goal you have failed to reach, consider taking a different approach and find new ways to tackle the matter.